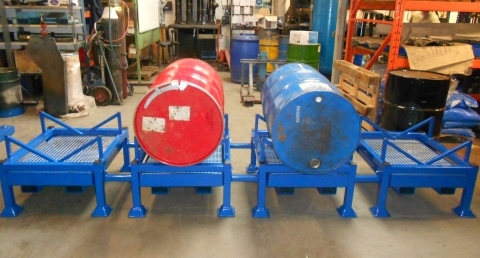 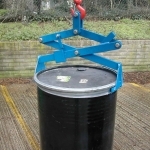 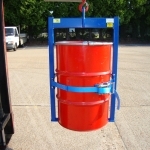 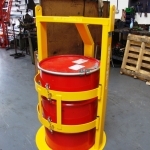 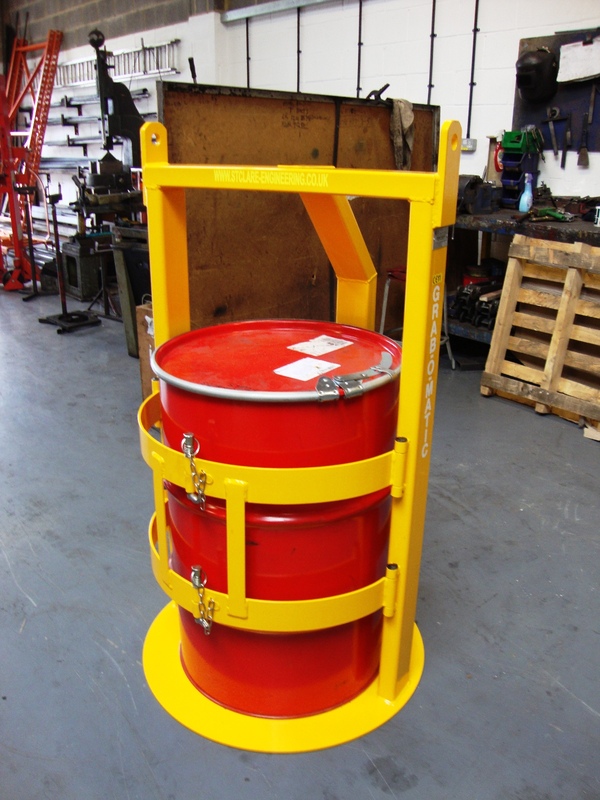 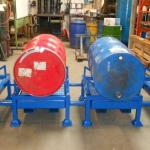 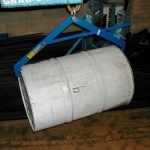 A Grab-O-Matic Crane Slung Vertical Drum Sling, this is a basic 3-legged single drum handler for occasional drum handling use. 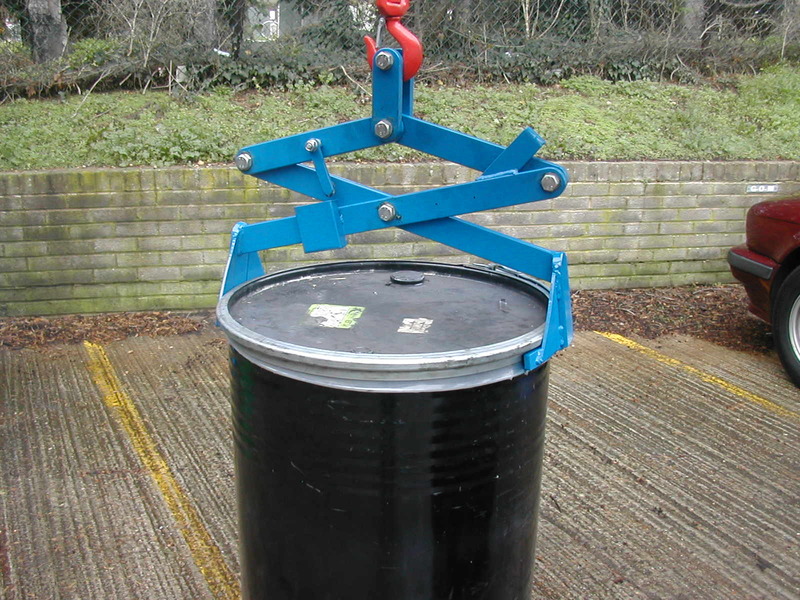 The Grab-O-Matic Hinged Drum Tines model HDT-1 can upend a drum from the horizontal to vertical or vice versa for stacking in racks. 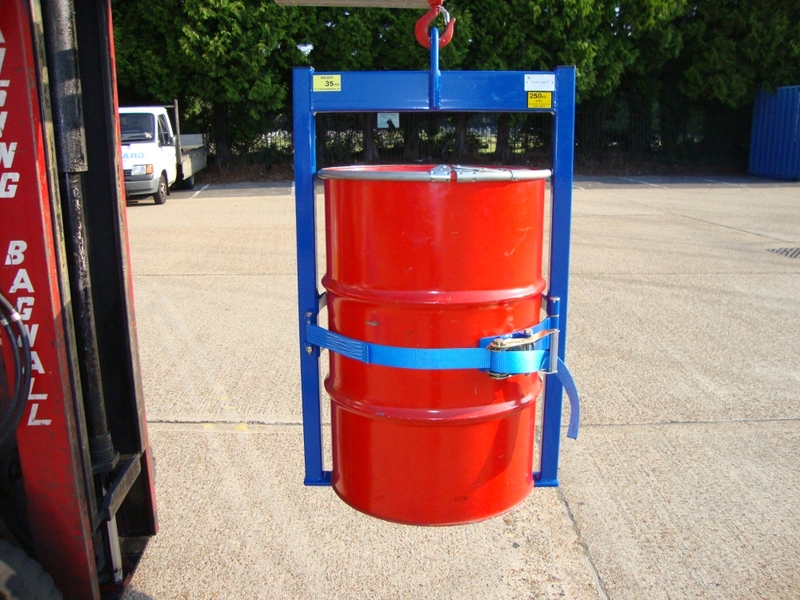 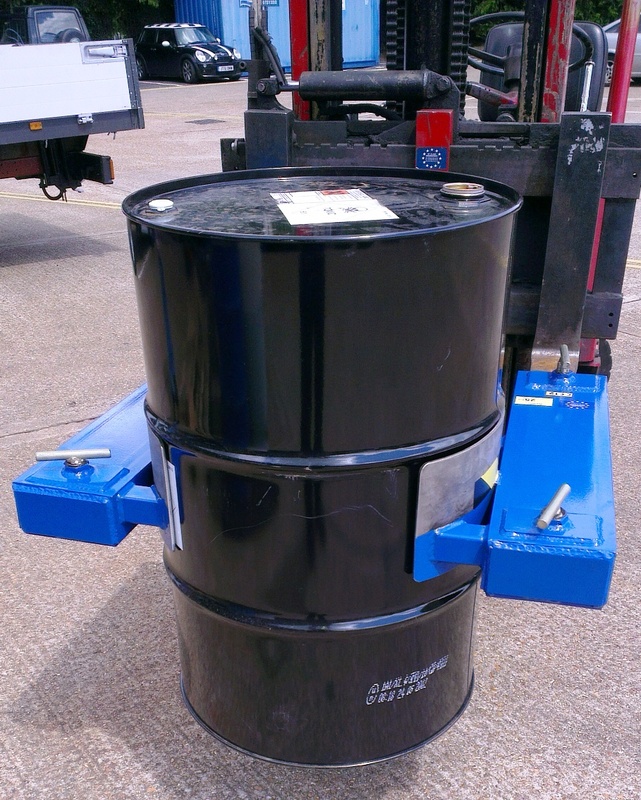 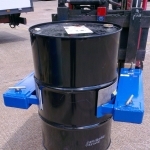 A Grab-O-Matic over-head drum cage manufactured to lift all types of drum with an over-head crane system, the drums are secured in place. 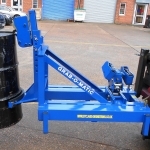 Pair of Grab-O-Matic fork attachments with stainless steel gripping pads for a side shift fork truck to grab steel drums. 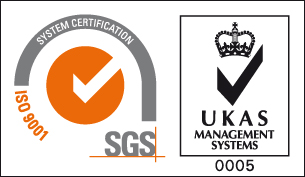 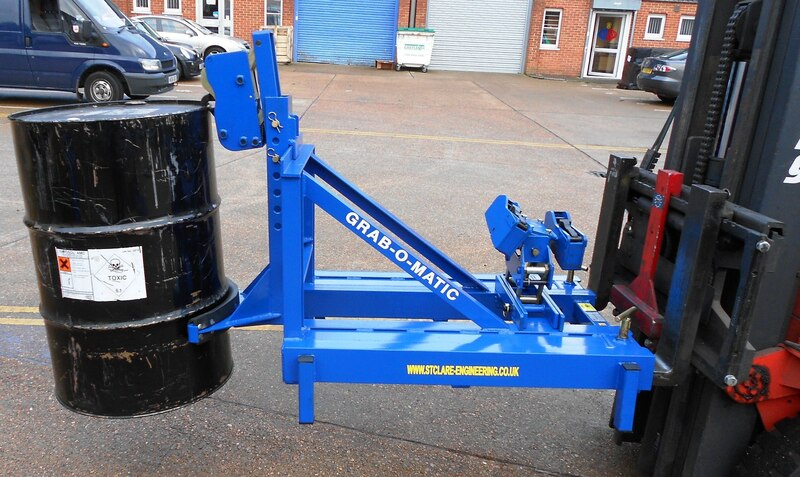 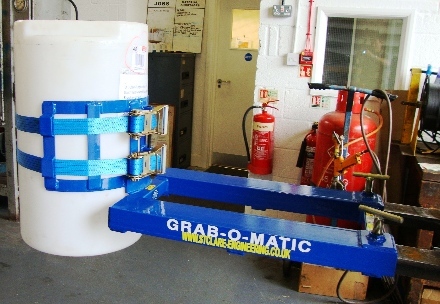 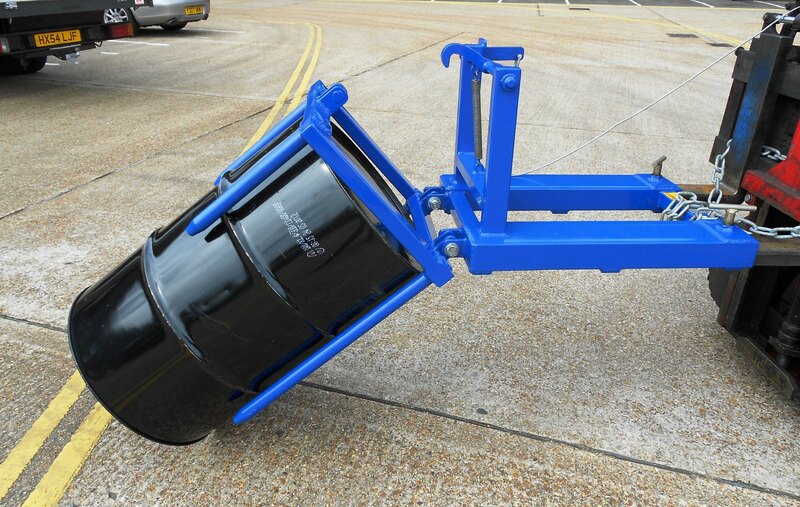 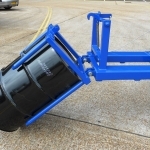 The Grab-O-Matic SG1 Automatic Scissor Grab Single Drum Handler is suitable for all steel open top, tight head drums and plastic ‘L’ ring drums. 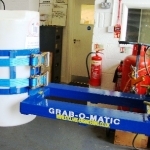 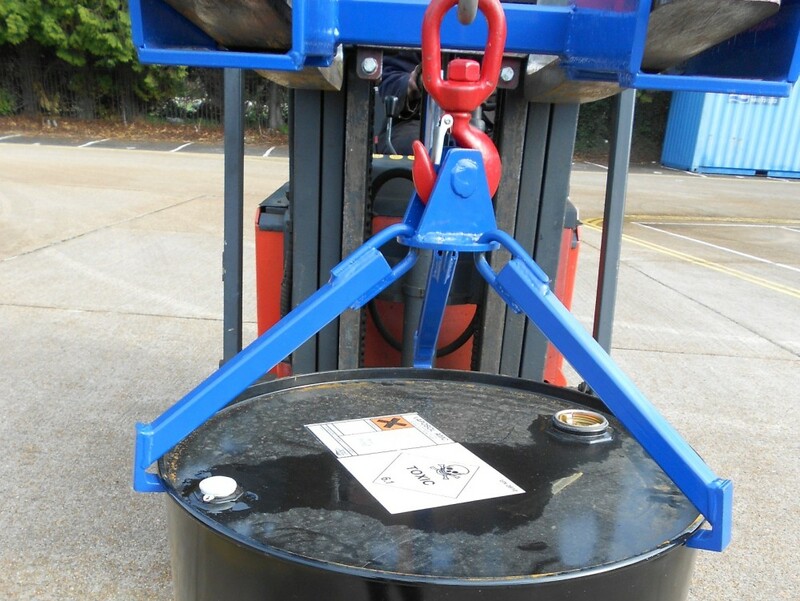 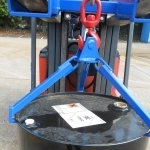 The Grab-O-Matic HDS-1 is manually positioned on the horizontal steel drum and when raised will grip the drum securely to lift it clear off the ground.